When it comes to home decor, home stuff and anything that says home, it has to be IKEA! You know how I do sometimes always talk about IKEA. It is like the best place to be and I can't wait for it to expand more in Johor by end of 2017! Yippie! I also do pay IKEA a visit and stock some ome decor stuff for my room and such. So Eid is just around the corner, family and friends are coming over. There will be food fiesta and cozy u together talk about all sort of stuff! So when it comes to food, you know you need to pump up the game! Serve ware and things you'll need. Whether it is a small crow, medium crowd or rombongan cik kiah kinda crowd. IKEA has it! 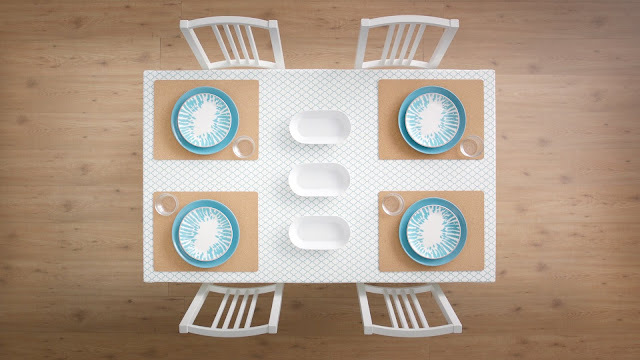 Here are some stuff that I want *cough* *cough*, I mean suggest you to have some inspiration on what to look for at IKEA for this joyful celebration! 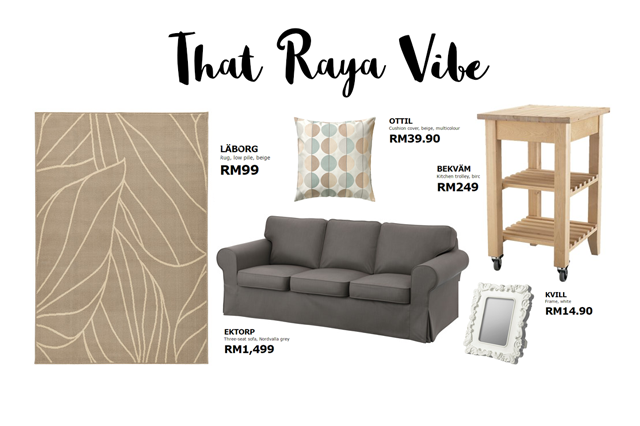 Play with neutral colors and play with colorful colors for the decorations, flowers and you now your kuih raya already gives a joyful vibe to the living room. IKEA offers lots of color options to their products. I really like the BEKVAM trolley, as you can put lots of stuff there including some tidbits to serve your guest. It saves space and you can move away easily. A nice nature theme rug to give some festive look and also show off some of your favorite pictures in the living room with some romantic designed frames like the KVILL. Of course as I mention before. The feasting time! When it comes to raya, I like to go for green theme color. In FAGRIK series, they have lots f color options including green! Perfect! 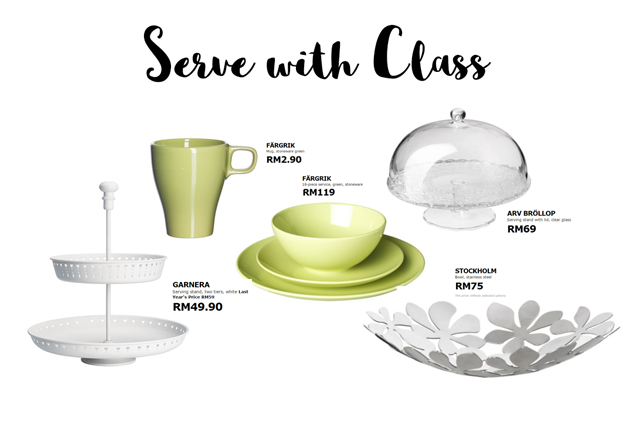 Serve your rendang, laksa, or anything you want to serve with these cute serve ware. Also keep some ready to bite stuff on some display serve-ware such as the GARNERA, ARV BROLLOP or STOCKHOLM. This post has been presented by IKEA but all thoughts and opinions are my own. kat sarawak rasanya belum ada lagi. so far ada di damansara selangor n cheras kuala lumpur. high five! mine has to be Hemnes!